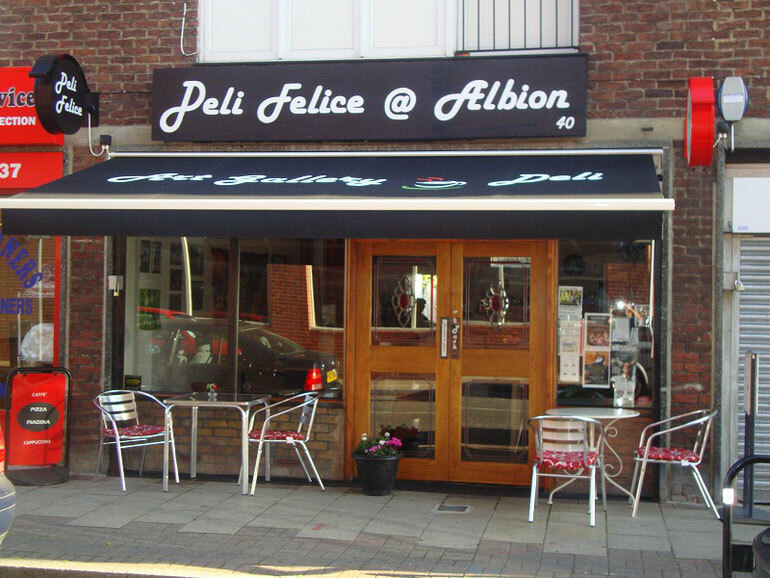 Deli Felice is an authentic Italian delicatessen and sandwich bar located within walking distance of Southwark Park. We always have a collection of artworks from local artists on display that you can come and enjoy whilst drinking an espresso or cappuccino. Also available are quality handmade panini with a selection of fillings from the deli counter. Only the finest ingredients are used in our panini. Alternatively you can try our lasagne or pizza. Local artists (famous or not!) are welcome to provide their own artwork for display for others to enjoy, our aim is to promote local talent as well as to serve up good food! Deli Felice is a family run business that prides itself on providing quality Italian products. Our menu ranges from freshly made lasagne to hot toasted panini filled with meat, cheese or vegetables. All our panini are made to order and can come in any combination you like. We do not serve pre- packed or ready made fast food so you might have to wait a little longer for a truly tastier and fresher meal. Be sure to check out the daily speciality that is always freshly made and inspired by seasonal vegetables.